The Green Tree Inn of Elsah is located along the Mississippi River just northeast of St. Louis Missouri. Our region is a wonderfully unique Illinois vacation spot offering a wide variety of recreation, dining experiences and local attractions. As a result, you can rest easy that your stay will be an enjoyable experience. Many of the nearby opportunities are listed here to help with planning your next trip to stay with us. 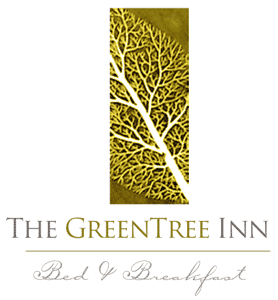 Alton is located just 10 miles from The Green Tree Inn of Elsah. It is a beautiful drive down the Great River Road. If you just check out one website in preparation of your trip, this is the most comprehensive website. There is much to see and do in Alton. Alton is named the most haunted town in the United States. There are many restaurants, antique stores and other unique shopping located in Alton. Be sure to make time for a Historic Driving Tour of Alton. Check out the calendar of events to see all the events happening in the area. Alton is a must see while visiting our inn. The Green Tree Inn of Elsah is conveniently located for our guests to explore local wineries & vineyards. Amazing views and award-winning wines await you in this region of the Mississippi Valley. In Grafton, local wineries & vineyards offer daily wine and beer tasting to suit any preference. Ample seating indoors or out and delicious menus are available daily to complete your dining experience. Grafton Winery and Brewhaus is located in historic downtown Grafton on the Great River Road National Scenic Byway. Wine tasting is available daily of their award-winning Grafton Winery wines. Grab a seat inside by the fireplace or outside on the patio. Guests enjoy great views of the confluence of the Mississippi and Illinois Rivers from any seat. Join us for lunch or dinner seven days a week. Indulge in one of our casual fanfare items or a signature plate while enjoying the scenic view and award-winning wine. Grafton Winery and Brewhaus features casual dining which includes counter ordering and food delivery to your table. Grafton Winery The Vineyards is a full production winery overlooking a lake and 4- acre vineyards. Grape varieties include Chardonnel, Vidal and Vinoles. This more traditional winery setting is a great place to have a quiet day away. Beverages can be ordered from the bar. A selection of Boar’s Head Meats and Cheeses is available. Situated among the bluffs of the Mississippi Valley Aerie’s Winery offers uniquely spectacular scenery while dining “al fresco” on the large outdoor deck. 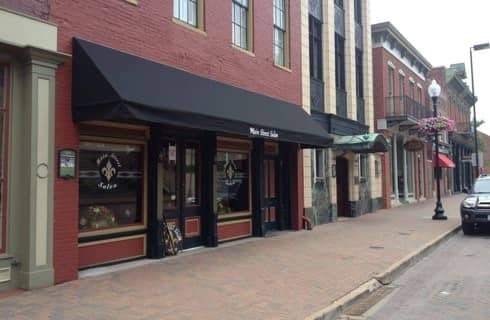 A comfortable, climate-controlled dining room provides additional dining space, and a covered beer garden downstairs features live entertainment. A kid-friendly patio in the back is perfect for family outings. Take in nature’s beauty at Pere Marquette, a state park comprised of more than 8,000 acres to explore. Visit the Pere Marquette stables to ride more than 20 miles of equestrian trails or trek one of several popular hiking trails. More than 12 miles of hiking trails are located within the park. The trails offer an enjoyable experience to everyone from beginners to more experienced hikers. The Sam Vadalabene Bike Trail is a paved trail running 20 miles between Pere Marquette State Park and the City of Alton, Illinois. The Pere Marquette Lodge & Conference Center is certainly an amazing structure. First of all, the building is composed of limestone and massive timbers. Vaulted ceilings and a 700-ton stone fireplace enhance the Great Room. Another possible activity during your trip could be a lodge tour. Located within the lodge are the Mary Michelle Winery and Pere Marquette restaurant, two more great features in addition to so much already! Open year-round, the restaurant offers a delicious menu. Dinner theater, festivals, and other entertainment take place during the year. Check out all of the Upcoming Events at Pere Marquette. Not much can compare to the taste and quality of freshly picked fruits and vegetables from a local orchard. 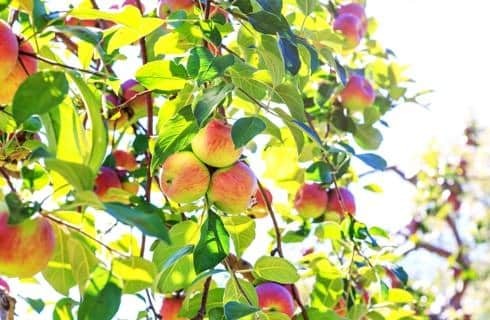 The Green Tree Inn of Elsah is conveniently located to offer you the opportunity to visit a local orchard and pick-up some delicious produce. Peaches, Apples, Strawberries, Blackberries, Tomatoes, Melons and more are available each season! 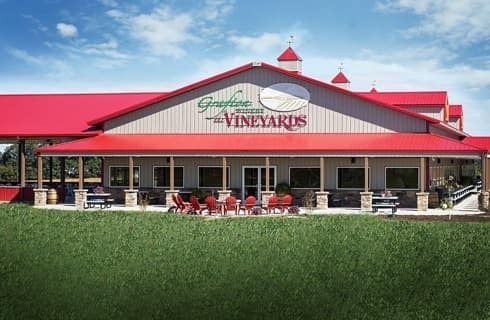 Eckert’s Grafton Farm opens in the summer with blackberry and peach picking (when available) and closes in October after the apple and pumpkin picking seasons. 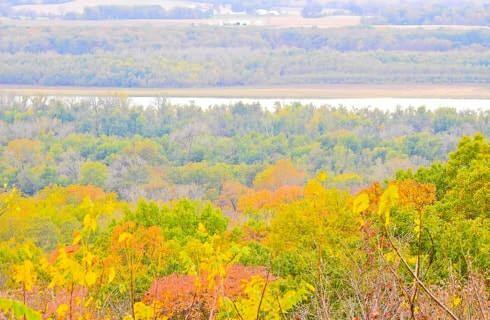 This local gem is situated atop the Mississippi River Bluffs in a quaint, rural setting. Above all, visit us for family-friendly fun including Frozen Custard, Festivals & Events, Private Parties and Pick-Your-Own fresh and delicious fruit. Three Rivers Community Farm is a twelve-acre CSA farm nestled behind the small historic town of Elsah, IL. The farm produces a well-stocked stand and carries other local growers’ meat, eggs, fruit, honey, bread and much more! A stay with The Green Tree Inn of Elsah offers the perfect opportunity for viewing Bald Eagles and other bird watching. Eagles love to build their large nests along the Mississippi. 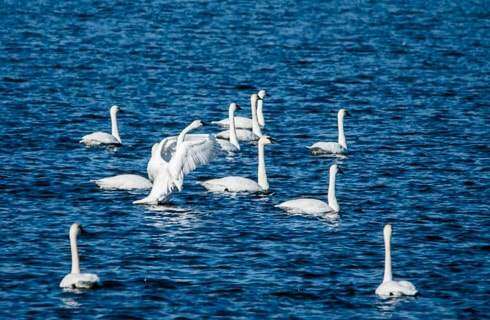 One of the best places to spot our nation’s bird is along the Great River Byway. The Eagles are easier to spot if you are driving toward Alton, Illinois from Grafton, Illinois. The outside lane of the Great River Road gives a better view of the bluffs. 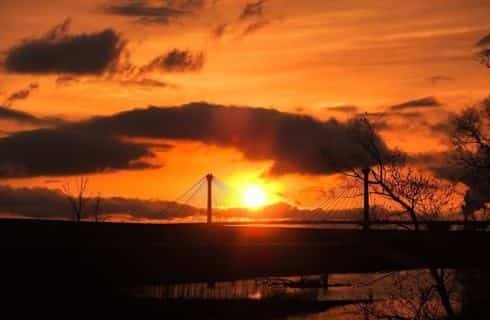 The best place in the St Louis Region to naturally connect with the Mississippi River and bird watch is The Audubon Center at Riverlands. Treehouse Wildlife Center is a unique place where you can find a variety of birds and other animals. Situated on 8 1/2 peaceful acres between Alton and Grafton, IL this center provides community services to people in southwestern Illinois who encounter sick, injured, and orphaned wildlife. The Hakuna Matata is a 49-passenger tour boat that can take you on a wonderful adventure on the Illinois and Mississippi Rivers. It is an all-weather, 53-foot, 49-passenger Coast Guard licensed tour boat. There are seating areas and cafe tables on both the upper and the lower decks. The first level of the boat is fully enclosed with large windows. 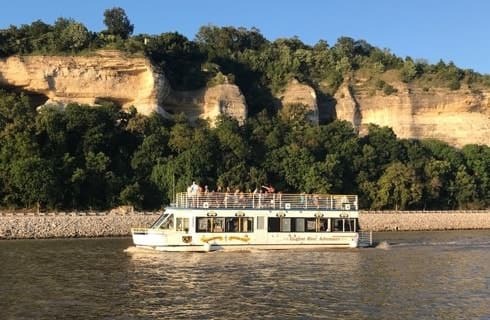 The upper deck is a huge open air patio offering 360-degree views of the river, bluffs, islands and historical points of interest along the way making it perfect for nature photography and family photos. The cruise is made even more comfortable as the boat has restrooms and the TIKI BAR offering a cash bar and light snacks. Arrangements can be made for cruises to depart from St. Charles, Alton and other local departure sights. The Hakuna Matata cruises run April through November; weather and river conditions permitting. A variety of scheduled cruising opportunities will be offered, and the Hakuna Matata will also be available to rent for private parties. 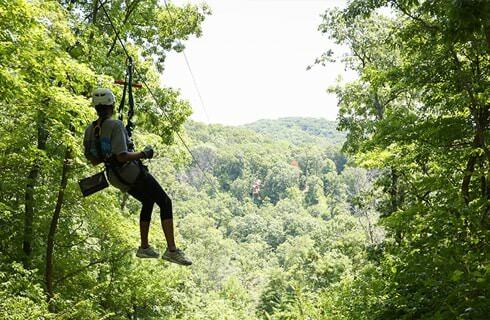 The Grafton Zip-Line adventure sends you soaring more than 200 feet above the ground. Composed of nine lines and running the length of 1.75 miles, the Grafton Zip-Line is sure to be an incredible experience. The longest line at 2,000 feet is the “Soaring Eagle”. Enjoy breathtaking views during its 250-foot descent. St. Charles, Missouri is home to the first Missouri State Capitol building, charming downtown streets, modern amenities and boasts more than a million visitors per year. Originally named “The Little Hills” by French Canadians, this popular community was later renamed after Lewis & Clark expanded their expedition to the west. In nearby Defiance, MO, Daniel Boone built his homestead, property that would later become the gateway to the Oregon and the Santa Fe Trails. In years past, German settlers brought a variety of cuisine and wine to St. Charles, Missouri. Residents worked to preserve homes and buildings later during the 20th century. Their efforts to maintain the rich history and architecture of the community are evident throughout the town. A variety of restaurants and wineries are located around the area as well – each offering a long-list of tasty options to suit any palate. From The Green Tree Inn of Elsah in Illinois, St. Charles can be reached by using the Grafton Ferry on Fridays, Saturdays and Sundays (open seasonally). Mondays-Thursdays the Brussels Ferry and the Golden Eagle Ferry (open year round) will help you get there. The St. Charles, Missouri Trolley service is a great way to get around this historic town during your visit. The Trolley operates 7 days per week and is wheelchair accessible. The Trolley can be a convenient way to explore everything St. Charles has to offer. 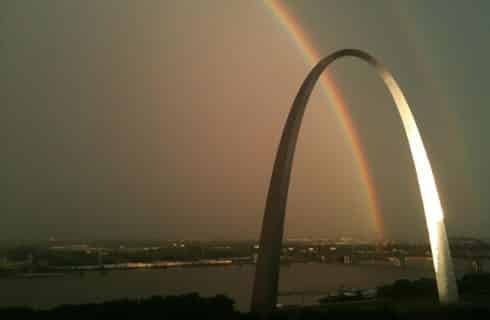 The Gateway Arch, the city’s most recognizable feature along the skyline offers regular tours, helicopter rides and riverboat cruises. Be sure to take in a St. Louis Cardinals game and visit Ball Park Village. Visit Forest Park, the seventh largest urban park in the U.S., for natural beauty and recreation areas. The St. Louis Zoo, Art Museum, History Museum and Science Center are in close proximity to enjoy as well. St. Louis is home to diverse music and culture. Visit the Soulard neighborhood for more than 20 bars, live music and great food. The Soulard Farmers’ Market is a historic tradition that began in 1779. Broadway Oyster Bar and Jazz at the Bistro offer a variety of live jazz, blues, soul and R&B. The Hill is a must visit for local Italian Food. A unique destination filled with culture. Cahokia Mounds is a State Historic Site previously home to Native Americans. Unique, pre-Columbian era features certainly make this is a popular traveler destination. 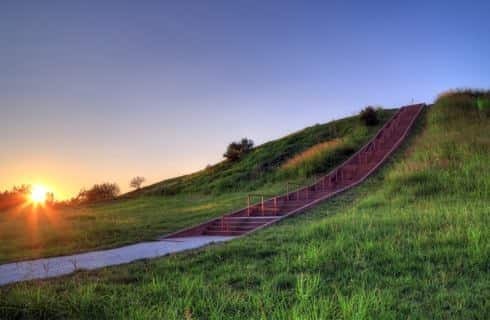 As a result, tourists include a visit to Cahokia Mounds on their list for a rich historical experience. This historical site is located along the Mississippi River. Explore carefully preserved tools, artifacts and ancient mounds, attend an event and more on your next getaway. The location became a more complex society over time and is excellently preserved. Artisans created a variety of unique items, many religious or symbolic in nature. Archeologists excavated and preserved artifacts. The Woodhenge structure is comprised of a timber circle. This feature is connected to the agricultural cycle, probably used as a sundial or type of calendar. Guests Take Guided and Group Tours. Visitors Explore Orientation Theater and an Exhibit Gallery at Cahokia Mounds. Seems like the perfect complement to your trip while staying at The Green Tree Inn of Elsah!